The most common cause of OA is genetics. The second most common cause of OA is trauma to the joint and not impact activity. Pain in the knees does not always come from OA and in fact many people have arthritic changes that do not even know it. Many runners experience and report less frequency of knee pain compared to non-runners. Seek the advice and treatment of a Physical Therapist if you have painful joints. One of the most common chronic joint conditions, Osteoarthritis (OA) cannot be cured, but it can and is treated on a daily basis. Healthcare professionals are always researching the approaches to treatment and long-term management of OA. While it can appear in any joint, it is most commonly found in weight bearing joints. Treatment has typically involved limiting the amount of sheer force placed on the involved joint. Recent studies have led many healthcare professionals to recommend the continuation of weight-bearing activities for some patients. Treatment regimens are determined based on the specific challenges facing each patient. Some impact activities, such as running, might not be as detrimental to the joint as once believed and it may prove beneficial. Managing the intensity and frequency of the activity is the key to preventing the activity from becoming harmful to the joint. OA is basically the breakdown of cartilage in the joints. The ends of bones that articulate with each other are covered with a smooth articular cartilage (hyaline cartilage). The articular cartilage is designed to withstand a tremendous amount of compressive and sheer force, but over a lifetime these forces might be too great and cause damage. When the damage occurs it cannot heal itself. The smooth surfaces become rough and rugged and these changes cause more damage as if it were a stone between two pieces of glass. Eventually, the hyaline cartilage is gone and the bone is exposed and the joint needs to be replaced. 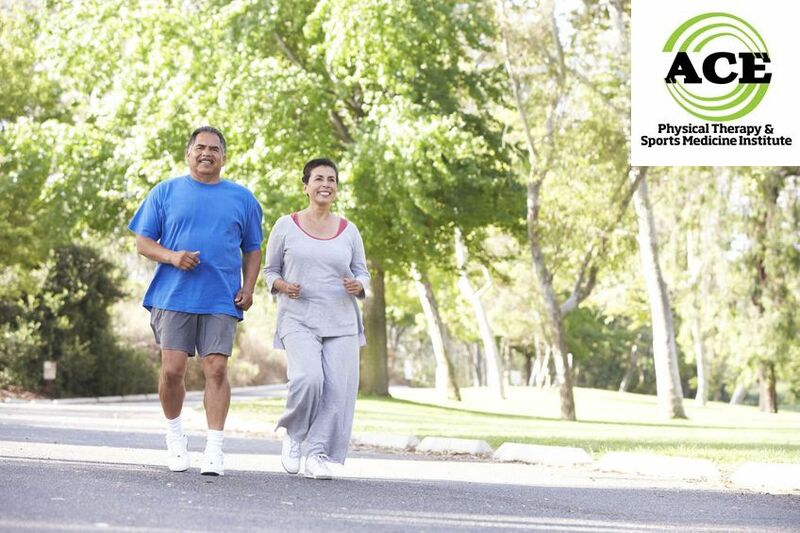 The healthy joint will go through a process of remolding throughout the lifetime of the joint. Studies have been done to test the effects of too much activity and no activity (complete immobility) and ironically both can cause damage to the joint surfaces. The goal of one’s activity level should be to maintain healthy joint structures for an entire lifetime. There is a fine line between too much activity and “just enough” to keep the joint surfaces healthy. The studies have looked at high impact vs. cumulative loading of the cartilage surface and it appears that both can be detrimental if they occur in high frequency. Cumulative loading usually has more damaging effects to the cartilage than the high impact force. Some people with severe OA report less knee pain when they experience high compressive loads in their knees. This subjective report of less pain might be secondary to changes in the shape of the joint surfaces and/or compensation movements that help the patient avoid sharp pain. Moderate levels of cumulative or high impact activity appear to be ok in most people, but excessive levels of either type of impact force is probably going to be detrimental to the integrity of the joint weight bearing joints. Running causes compressive and sheer force across the cartilage surface of the knee joints. Most healthcare professionals would recommend that a patient decrease the amount of running that they do as they get older. The studies suggest that a person that has run for a good portion of their life to maintain a healthy body weight, sound cardiovascular fitness and a reduced stress level should probably continue to run as a form of exercise. They should not change their routine drastically but a moderate, steady amount of running might help to maintain healthy knee joints. People who suffer from OA should seek the advice and treatment of a Physical Therapists who specializes in the treatment of musculoskeletal system. These healthcare professionals are licensed and you do not need a doctor’s prescription. The Physical Therapist will teach you an exercise routine that will strengthen your lower extremities and core musculature. The increased strength in your legs should help to control the symptoms of OA. These professionals can treat the symptoms of OA and help to decrease pain and swelling, increase motion and strength. Healthcare professionals have always attempted to have their patients change their activity level to protect their joints from the onset of OA. They promoted this change secondary to the belief that too much impact force would lead to the changes in the articular cartilage surface and eventually OA. Based on some recent evidence supporting the findings that indicate that some impact force is actually good for the joints has led some healthcare professionals to suggest to some of their patients that they should maintain their regular exercise schedule, including running. They tell their patients to continue to participate in a running routine if it has been a part of their routine, but they should be cautious and perform it at moderate frequency and intensity levels. OA can have devastating effects on someone’s activity level and lifestyle. It is always best to try to avoid the onset in the first place. 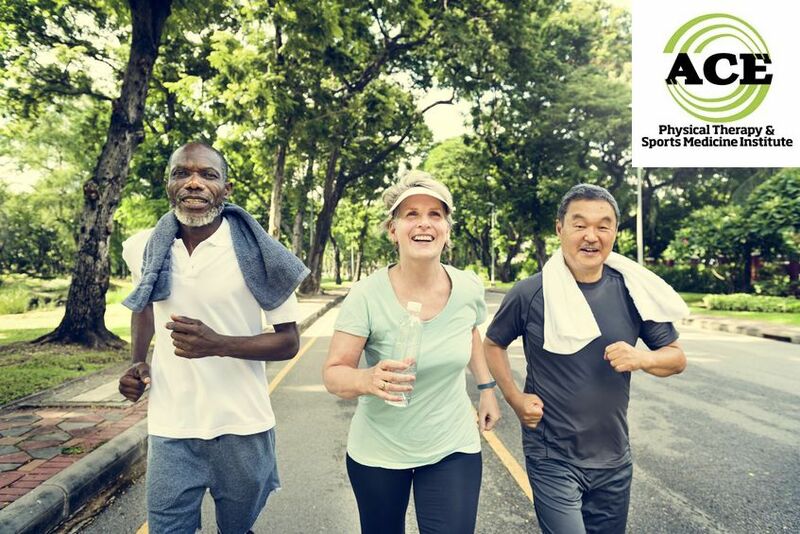 In the past, there was strong support to have everyone discontinue impact activities such as running as they got older, but newer research indicates that some of this activity might be good for the joints.